Note: below is a revised version, with updated information, of an article that was first published November 18, 2016. In British Columbia (B.C. ), we have a child care ministry under The B.C. Ministry of Children and Family Development. Our company, Rainforest Learning Centre is a private, licensed daycare (and sometimes preschool) in North Vancouver, Coquitlam and Langley. Our services are paid-for by child caregivers (parents, guardians, etc.). However, parents and child caregivers can get help for paying for child care from the government, if they qualify, using government resources for early childhood care. This has been the case for a while. But in 2018, the funding for child care in B.C. was expanded. The changes to the former Child Care Subsidy laws can be read here. 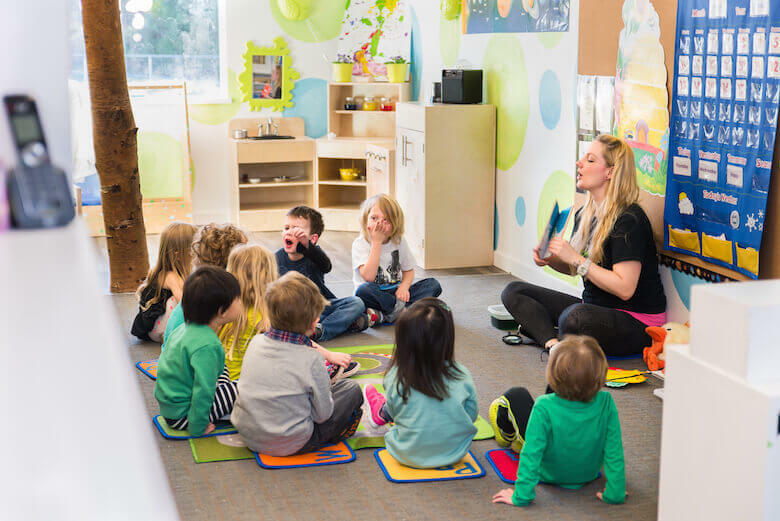 There are also other resources provided by B.C.’s government and child care ministry that enhance the benefit of kids who attend licensed daycares. They help the child care businesses, in hopes of improving the quality and opportunity for kids to enrol in a group care setting – one that is regulated, and more professional. Understanding what it takes to run a daycare centre, versus opting for private child care in B.C. One thing parents should know when looking into government resources for childcare is their options. They’re not all alike! When you hire a daycare centre like ours, it’s important to understand that we are licensed, and thus regulated by laws. These laws ensure safety of your child, for instance. You would not want 10 infants being cared for by one person – clearly that’s not enough care. The above is just one example of how licensed daycares must abide by rules to operate in British Columbia. But there are more. We must have criminal record checks, and we must hire qualified staff to do the job of caring for children. We need to have first-aid training in case anything goes wrong with your child, that is in our power to help with. We are also inspected for health standards. This type of group daycare service is different than hiring a nanny or babysitter, whether in your home or theirs. This can be called “unlicensed” child care. If the word, “unlicensed” sounds ‘off’ to you, it’s not; it’s legal when following certain rules. Privately-arranged nanny care has its limits in British Columbia. As a parent, it’s important to understand these limits, to ensure you are both abiding by applicable laws, and opting for childcare that follows the law. Also, when you hire a nanny, you may be considered an employer, which has tax implications. You’ll also need to make your own reports as an employer, to be eligible for any new monies under the Affordable Child Care Benefit. More importantly, parents should know that unlicensed child care providers may not be as heavily regulated by the government. In one case, a child died in an unlicensed care situation. This is not to say all unlicensed care providers are dangerous. But it is something for parents to know: there is peace of mind in finding a licensed care provider, since it comes with stricter regulations the provider must follow. Though, these spaces are in much less supply. Lately, the B.C. government has been trying to help unlicensed child care providers become licensed. They are providing funding grants to encourage it. Types of Child Care in B.C. What are the available child care subsidies and benefits in B.C.? Funds the opening of new licensed, government or non-profit child care spaces. Helps existing child care facilities upgrade their spaces. Gives financial motive to increase the number of early childhood educators in the province. Ensures young parents are able to finish high school by having access to child care. Starts testing universal child care programs at specific sites throughout the province, in cooperation with the federal government. As a parent, you may be eligible for more government assistance if you opt for a recognized type of child care (whether licensed or not), as opposed to using a family member, or occasional caregiver to watch your children. The age of your children, and the type of care they get, will also affect how much help you’ll get from the B.C. government to pay for childcare. Of course, income and marital status also play a part in these calculations. Unlicensed child care options still quality for some benefits, but not as much as with licensed care. The first step is to use the government’s online estimator to find out the child care benefit amount you may qualify for. *Please note that while we are linking to some of the funding possibilities for child care in BC, this list is not meant to be a complete or comprehensive resource. We recommend visiting government centres, their websites, or calling representatives who can help you in determining your eligibility for programs at both the provincial and national levels. The B.C. government currently has a program to support single parents or young families who want to re-enter the workforce. Part of this may include eligibility for child care funding while you train for a job, or otherwise. We love when parents are involved in their child’s education. If you are able, you may want to join in with a StrongStart BC session. Sometimes, it’s hard to know how to play with kids, or what might help them learn through play. While they are at daycare, they are usually not with their parents (but still having fun!). So how do you fill the gap of playtime needs when they’re with you? Meeting parents, learning about what’s out there, and some good skills for learning through play can be had at a StrongStart BC session. We encourage you to check it out! The government also supports a program called Confident Parents: Thriving Kids. It’s aim is to provide free services to parents of children who may have behavioural problems. Early childhood development has seen a rise in priority for the family and childcare ministries of B.C. Notably, the government started an Early Years and Families First Strategy. They also opened several centres to provide information on community resources for young children and their parents. Complete with videos, reports, and maps to find Early Years Centres, the pages below can help you, as a parent, keep up to date with this initiative. As a parent, you’ll want to know what resources are available to early childhood caregivers, as well as understand what’s in store for your child’s future education. For example one initiative involves paving the way for an easy transition into kindergarten. As you know, two of our daycare locations are on the properties where our toddlers and preschool-aged kids will likely enter elementary school. We fully support the idea of helping our daycare centre kids be ready for school. This is why we incorporate so many educational methods into our early years curriculum. It is critical to early childhood development. While we are not affiliated with this program officially, we see it as value for parents to know, access and learn about. This goes especially for parents of children who may not have been able to attend paid-for preschool or daycare programs. Extra support may be available for your children. Be sure to look into your options. While the above are just some of the options available to parents of early childhood learners, we encourage you to explore more! These are made to be taken advantage of and used, so why not benefit from them?